No matter how good your hardware, no new system can support itself without a killer app. Just as the NES had Mario and the Xbox Halo, so Sony’s upcoming PS Vita now has its ace up the sleeve: A portable Uncharted game. Golden Abyss is well and truly in the pipeline, with playable demos already looking pretty tasty. In case you haven’t been keeping up to date with the game’s development, here are the facts you may want to know. That’s right, with the new touch screen and pad on the PS Vita, Golden Abyss can be controlled with touch screen gestures. Whether your climbing up a rock face or getting in close for some fisticuffs, Uncharted: Golden Abyss will support touch screen controls. There are even some more creative uses of the Vita’s built in gyroscope for sniping. Whether you’re a new or seasoned Unhcarted player, you’ll be able to get to grips with Golden Abyss easily with the game’s intuitive motion controls. I may have given you a few of you a heart attack in that previous paragraph by not making it clear, but Golden Abyss won’t be an entirely motion controlled experience. 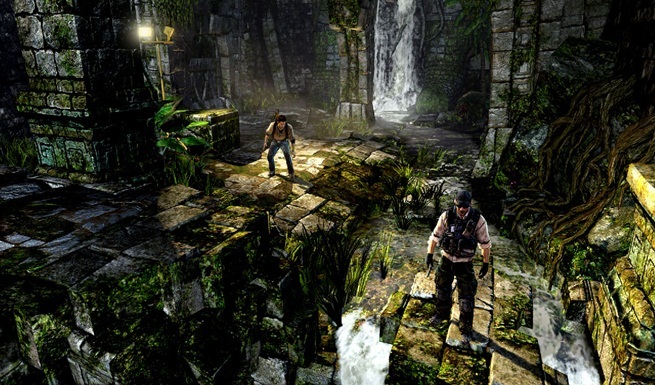 Though the gestures are available to those who want them, the dual analogue sticks of the Vita have allowed the usual Uncharted control scheme to be perfectly ported to its handheld cousin. If you’re happy enough with just buttons and sticks, you can either ignore the motion controls or turn them off entirely. Golden Abyss marks an interesting new narrative direction for the Uncharted series. 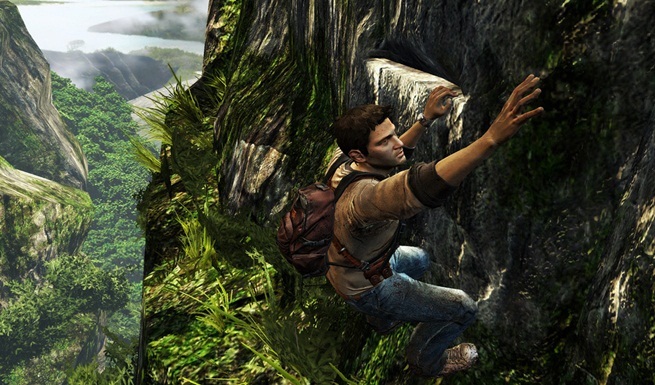 As a prequel to Drake’s Fortune, Golden Abyss will introduce players to a new set of characters including a younger and less experienced Nathan Drake. It will definitely be interesting to see a new side to Drake as a character, and his relative inexperience in Golden Abyss will hopefully open up new narrative possibilities.